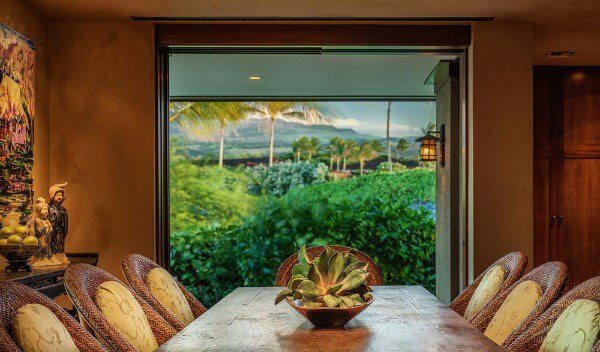 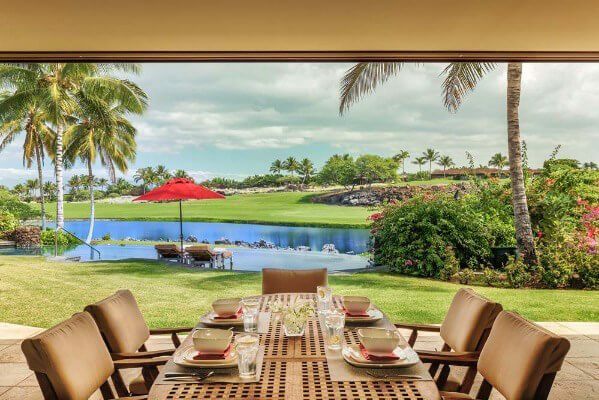 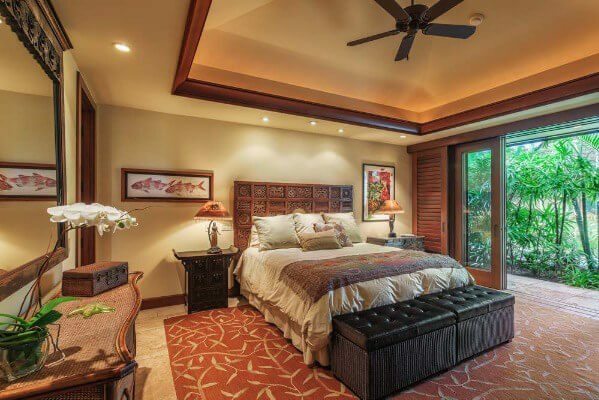 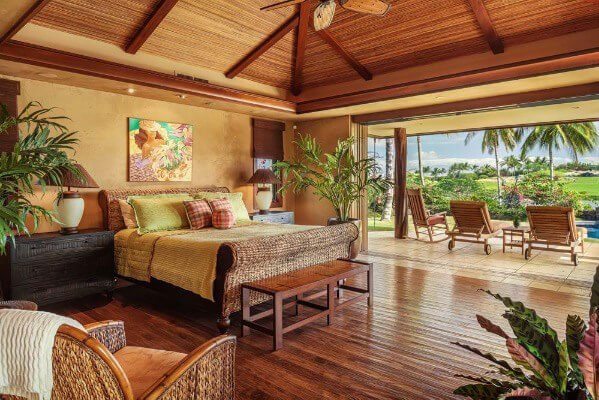 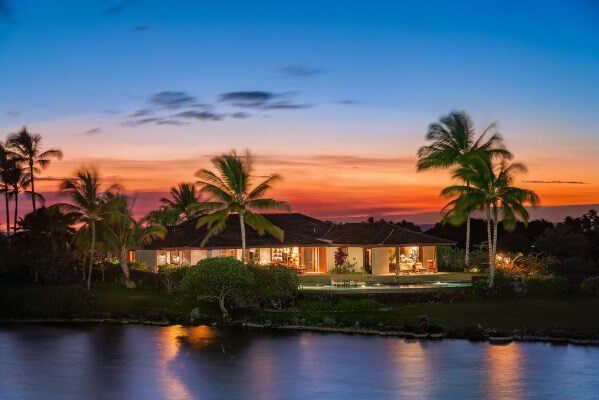 This spacious residence at Hualalai Resort is ideal for both golf enthusiasts and those who seek to be in proximity to all of the resorts amenities and view the Mitsubishi Electric Championship. 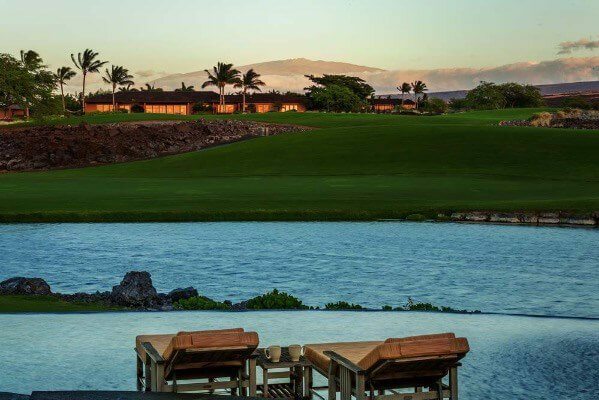 Overlooking the beautiful lake on hole 5 on Hualalais Jack Nicklaus Signature Golf Course where you can watch PGA Tour players compete from your lanai. 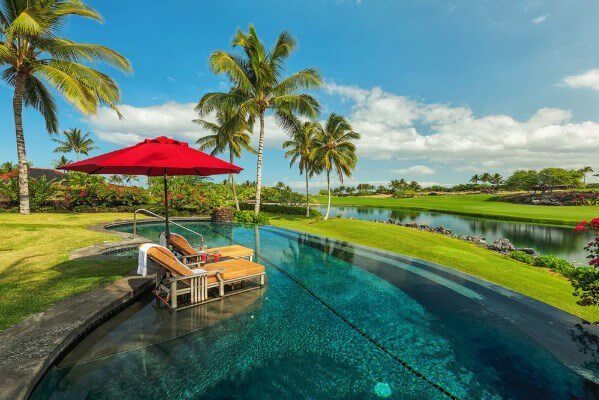 Unique panoramic views with sparkling water features and green fairways backed by Mauna Kea, Hualalai, and Kohala Mountain create an incredibly peaceful setting. 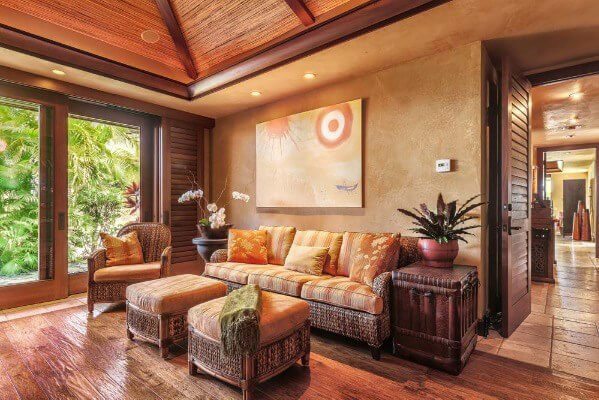 Designed by architect Lucky Bennett, with a spacious 4,821 square foot floor plan is excellent for hosting guests. 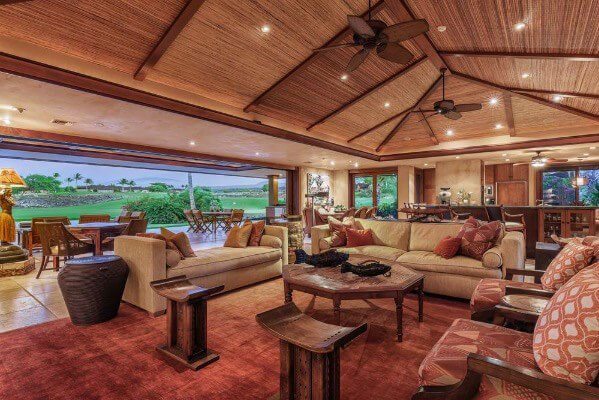 The great room blends the sizeable kitchen, living room, dining room, BBQ area and lanai into one living space so that you may easily entertain. 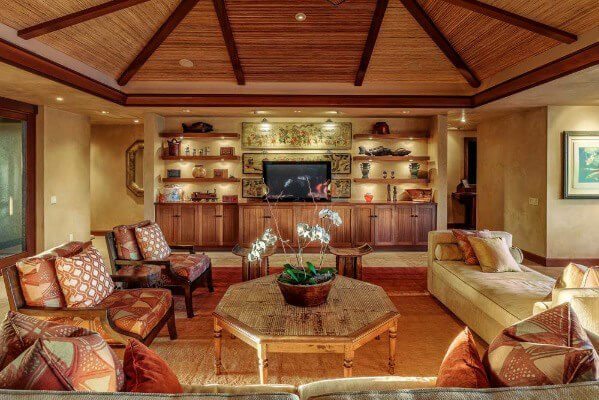 The main living area also includes two suites with private garden showers, powder room and a spacious home office. 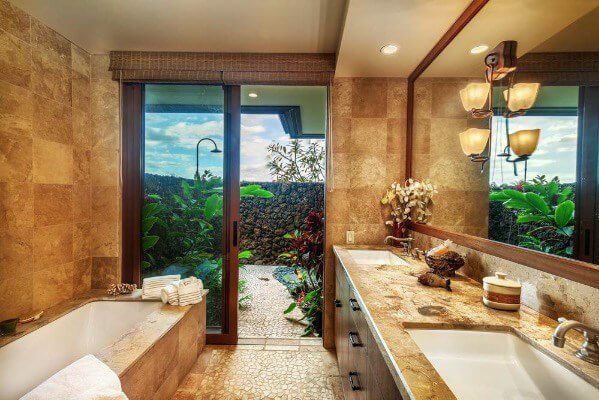 Two additional suites each with full baths and private garden showers are separate from the main living area. 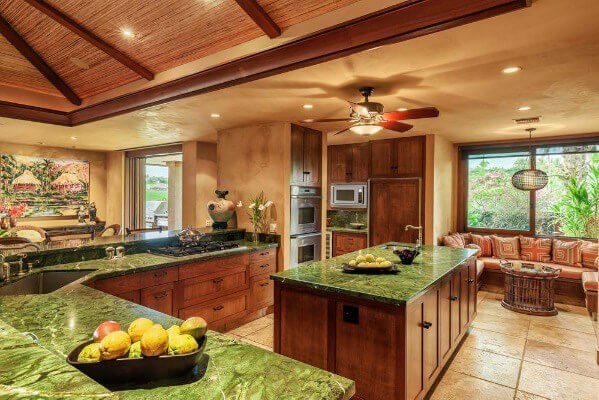 Custom finishes such as; gorgeous egyptian plaster walls, Koa and Mahogany cabinets, Mahogany shutters and soffets, honed teak and stone floors, granite counters, and inlaid ceilings are found throughout. 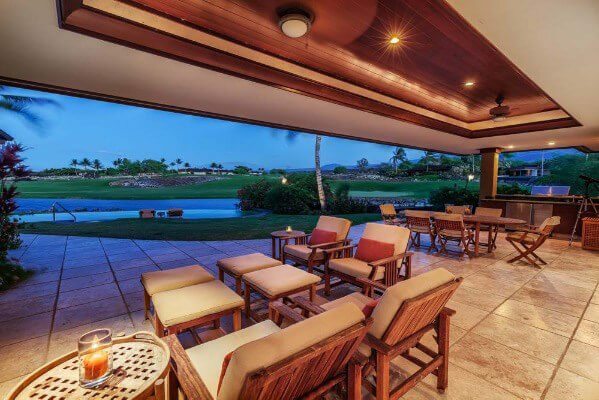 Situated on a large lot of nearly Â¾ of an acre plus a manicured grass setback from the golf course that provides ample privacy and additional space for recreation. 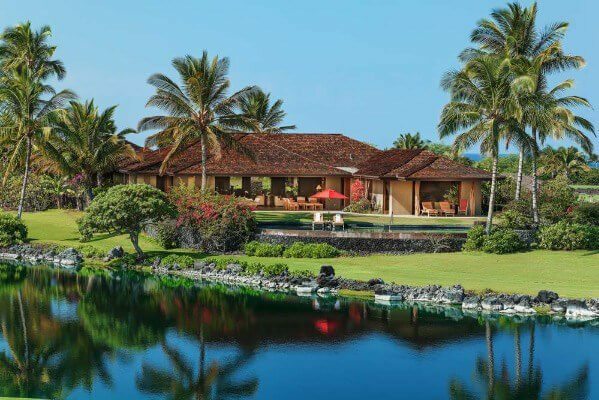 This Ka'ulu Estate is one of the most central lower locations in Hualalai Resort. 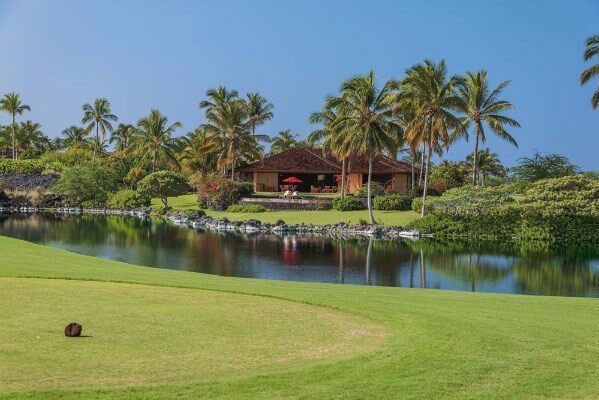 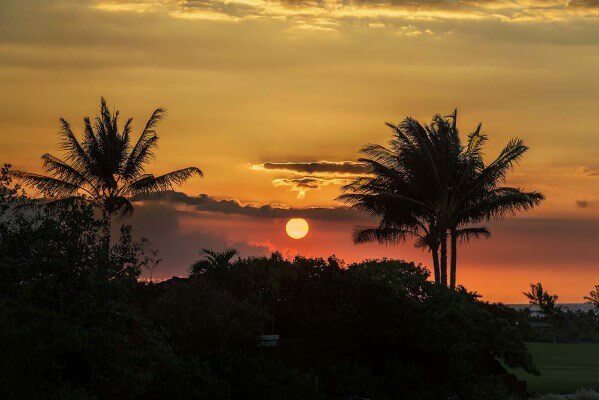 The Members only Keolu Club House, Four Seasons Hotel, Canoe Club, Nicklaus and Weiskopf golf courses, restaurants, spa, tennis, Club Concierge, and beach activities are all just minutes away.